A sculpture I created in based off of H.R. 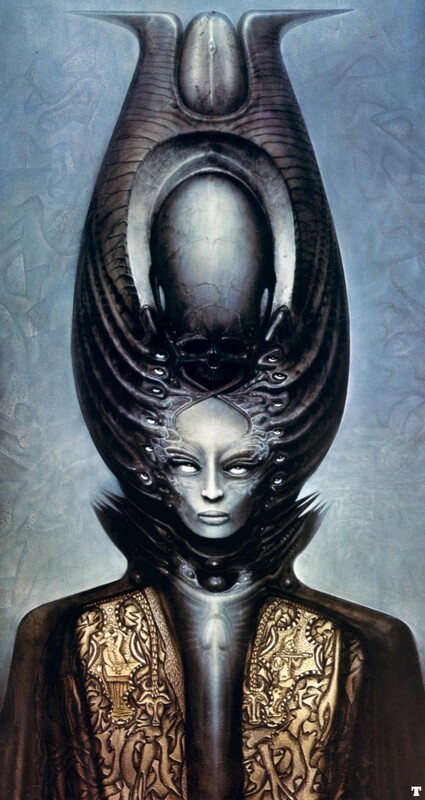 Giger’s Female Magician. 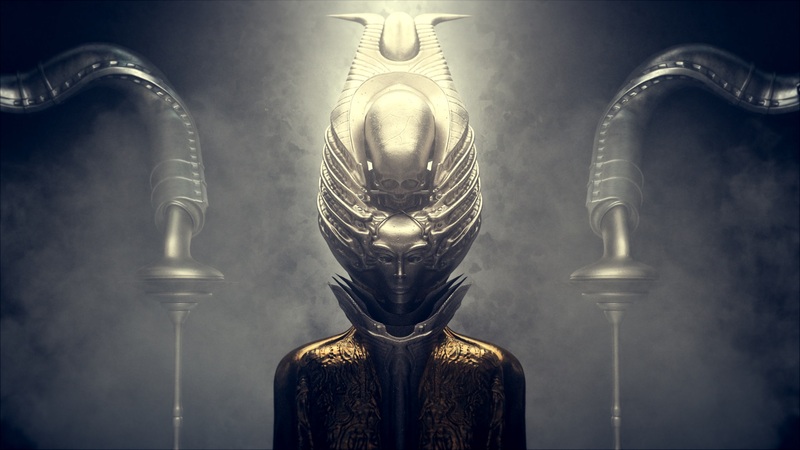 The front features a skull and an etched metal casing that degenerates into organic xenomorph looking parts in the backside. 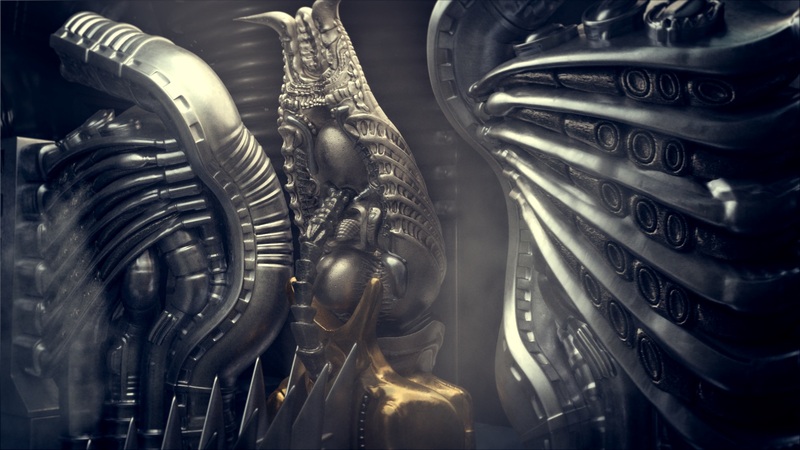 Built using various Giger works as reference, as well as my own experimentation with lighting and surfacing. Awesome art. Love the balance and the face of the magician.